Despite the delegates he won during the Republican presidential primary season, Ron Paul won't be speaking at next week's Republican convention in Tampa, Fla. But his presence will be felt there -- whether it's his supporters who will be flocking to the city or his son Rand, who will be speaking at the convention. And there's also the possibility of a video tribute to the Texas congressman. 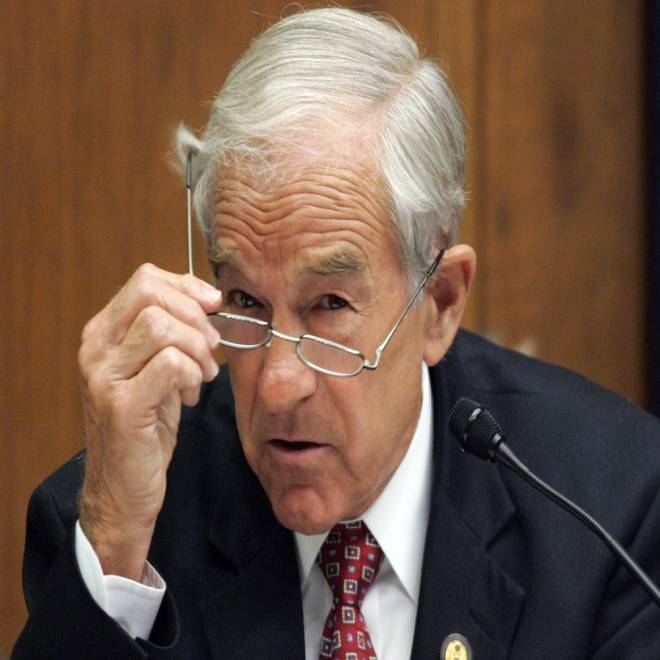 "We're told there's something special in the works on Tuesday paying tribute to Ron Paul," said Jesse Benton, Paul's national campaign manager. U.S. Rep. Ron Paul, R-Texas, questions Federal Reserve Board Chairman Ben Bernanke (not pictured) during his testimony before the House Financial Services Committee on Capitol Hill in Washington, in this July 21, 2009 file photo. Perhaps the most high-profile Paul-related event at the convention will be Monday's primetime speech by Rand Paul, the freshman U.S. senator from Kentucky. The last time Ron Paul actually attended a Republican National Convention was in 1976, when he led the Texas delegation as one of only four congressmen to endorse Ronald Reagan over Gerald Ford. And joining him on the convention floor was his son, Rand, who then was 13 years old. Now the roles are sort of reversed. The speech the RNC "doesn't want the rest of America to hear"
Ron Paul will be speaking in Tampa, too -- just not at the convention. With just four days until the RNC, President Barack Obama shares his thoughts on the Todd Akin controversy, doing his best to extend the conversation on abortion and reproductive rights. The Daily Rundown's Chuck Todd reports. “This is our opportunity to show that we are the future of the Republican Party,” Paul wrote in an email to supporters earlier this month. But that plan had to be changed this week due to logistics surrounding the high security at the venue. Paul-supporting delegates can acquire their own transportation to attend the official GOP welcome party or postpone mingling with rank and file Republicans to attend a “Liberty Rocks” after party being thrown by the campaign at Whiskey Joe’s Bar & Grill in Tampa. The after-party is open to everyone, and the more than 1,500 supporters expected to show up will be entertained by blues guitarist Jimmie Vaughan and John Popper from the Blues Traveler. In addition, delegates and alternates who are Paul supporters have been invited to a private reception with the Texas congressman before that party begins. The next morning, Paul will attend a fundraising breakfast sponsored by the Republican Party of Iowa. The state’s GOP Chairman, A.J. Spiker, was a co-chair of Paul’s Iowa campaign and the unbound delegation from the Hawkeye state includes a majority of Paul supporters. Later on Monday, Paul will greet his supporters at the Tampa Bay Times Forum. According to the campaign, the RNC is planning a special tribute to the 77-year-old Paul on the second night of the convention, which would mark a change in the party’s attitude towards the Texas congressman who has run for president three times and has started a small revolution inside the Grand Old Party. Convention organizers have not responded to repeated requests for confirmation, and the official schedule released for Tuesday makes no mention of a tribute to Paul. However, there are spots on the schedule labeled “Segment to be announced,” as well as “videos” during the evening –- which supporters believe will be where the party will place the tribute. Paul-supporting delegates attending the convention have been advised to be respectful, defend their positions, and don't be “pushed around.” Many are excited to see other Paul supporters from across the country and will attempt to introduce themselves to other Republicans. Rothenberg Political Report and Roll Call's Nathan Gonzales, National Review's Robert Costa and USA Today's Jackie Kucinich talk about Paul Ryan's roots and how he got into politics. Another delegate attending the convention, Chris Stearns, was Paul’s Virginia State director and has been tasked by the campaign to lead efforts on the RNC platform committee. As to whether a majority of the party has accepted some of those views, including auditing the Federal Reserve and requiring a formal declaration of war before committing military forces overseas, Stearns seems confident that message has become mainstream. This week, delegates included planks to the Republican Party’s 2012 platform draft that embrace some longtime goals of Dr. Paul’s -- an annual audit of the Federal Reserve and the creation of a commission to consider returning the U.S. dollar to the gold standard -- which will be voted on by the full convention next week.